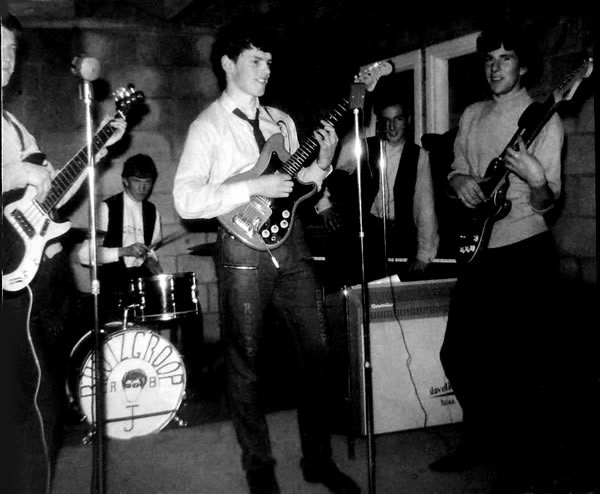 Rootzgroop in 1964 onstage in Ranelagh, l-to-r: Rodney Williams, Robbie Brennan, Jonathan Ryan, Dave MacAnaney, Colm Melling. 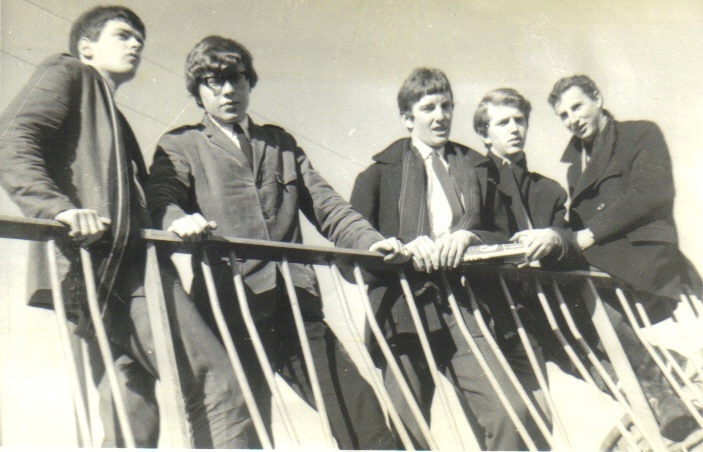 In late 1963 three schoolmates at CBC Monkstown were trying to form a beat group with little success: they were Jonathan Ryan (guitar), Rodney Williams (bass) and Robbie Brennan (drums). 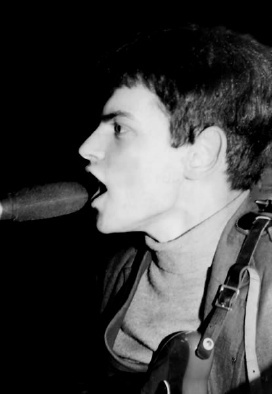 Rodney was the younger brother of The Greenbeats Paul Williams and The Kult's Pete Williams. Having performed a fairly disastrous interval set for The Greenbeats at Longford Lawn Tennis Club, they were approached by Dave MacAnaney, a gifted piano player who was trying to form a band of his own. They began rehearsing together in 1964 with Robbie Brennan's cousin Colm Melling on lead guitar and this quintet dubbed themselves Rootzgroop. 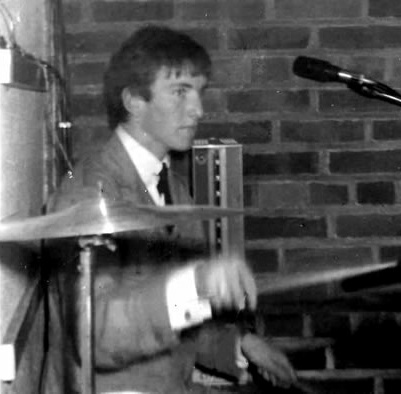 above: Jonathan Ryan at Club A-Go-Go in 1965; Robbie Brennan at Pembroke CC. Rootzgroop became good fairly quickly. They covered Chuck Berry, Jerry Lee Lewis, Ray Charles, Mose Allison, Little Richard, as well as the Beatles, Stones, Kinks and Yardbirds and the chart hits of the day. Colm got hold of a pre-release copy of Them's Baby Please Don't Go and Rootzgroop became probably the first band in the south to cover the future garage rock classic on the b-side: Gloria. Colm Melling was replaced by Paul Brady in 1965 (exact date unknown, probably ca April 1965), who joined from The Kult. 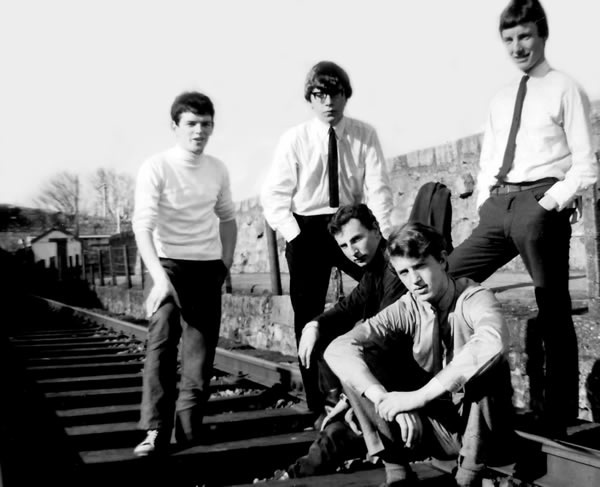 By mid-Summer the band was being described by Melody Maker as '... the most improved group in Ireland' This lineup played together for about a year, until early Summer 1966.
l-to-r: Ryan, Brady, MacAnaney, Williams, Brennan. 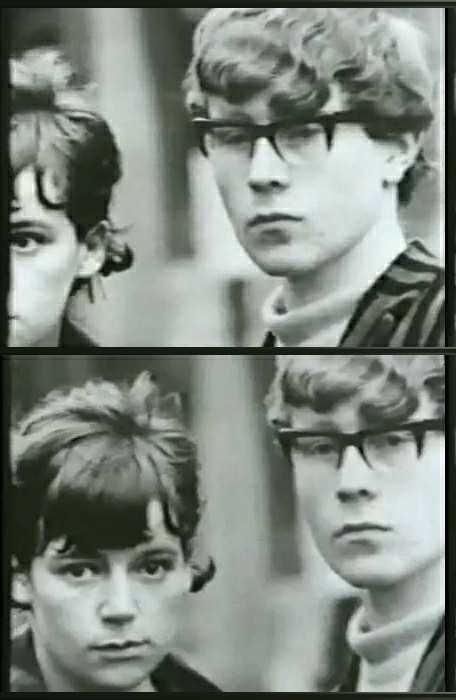 Two stills from the 'Charlie Is My Darling' documentary film about the Rolling Stones September 1965 mini-tour of Ireland. Surely this is Paul Brady, then with Rootzgroop? Paul Brady and Rodney Williams left to join Rockhouse in May 1966. They were replaced by Tommy Dunne on bass and Mel Deane on lead guitar. This lineup turned in a soul music direction, covering Otis Redding and Wilson Pickett and the like, and adding a brass section. However, things didn't gel as well as expected during rehearsals and Robbie Brennan, having already turned down their first offer to give the new Rootzgroop lineup a chance, finally accepted the offer to joined the post Bluesville group The Chosen Few. He left in mid 1966. Rootzgroop split soon after. Dave MacAnaney was later in Stepaside and The Negatives. Robbie Brennan was later in the The Chosen Few, Good Tymes, Skid Row, Stepaside, The Negatives, and many others. Jonathan Ryan is now better known as an actor (The Irish RM, Bosco!, etc) and voiceover king.